In last week’s episode #7, I interviewed Tom Twist of The Chewonki Foundation about getting sustainability into the classroom (or ironically, out of it!). 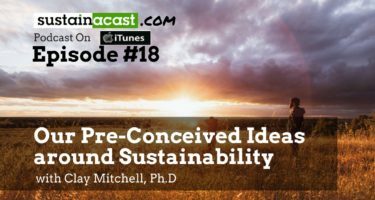 I mentioned that Tom & Chewonki have a short podcast series they developed to highlight some interesting work they’ve done on campus around sustainability & energy in particular. So I talked with Tom this week, and Chewonki have been nice enough to let me share one of these episodes with you. 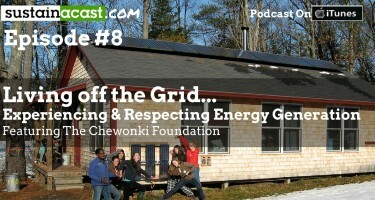 It’s an interesting episode that recounts the experiences of eight girls who were semester students at Chewonki as they pursue a goal to live for one semester “off the grid”. 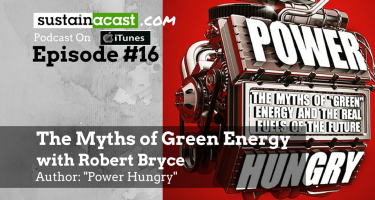 It’s an honest account of the struggles of generating our own energy, especially when you have to “physically” generate it. To begin, the girls had a bike named “Hubert” that they had to cycle on regularly in order to recharge a battery for their dorm. If they wanted to read at night, they had to do the hard work to make it happen. 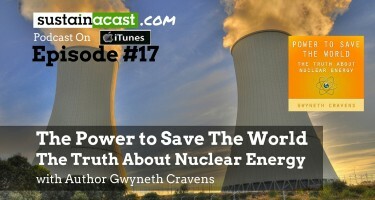 This direct physical relationship was what I found interesting about this podcast, and the interesting outcomes it had.